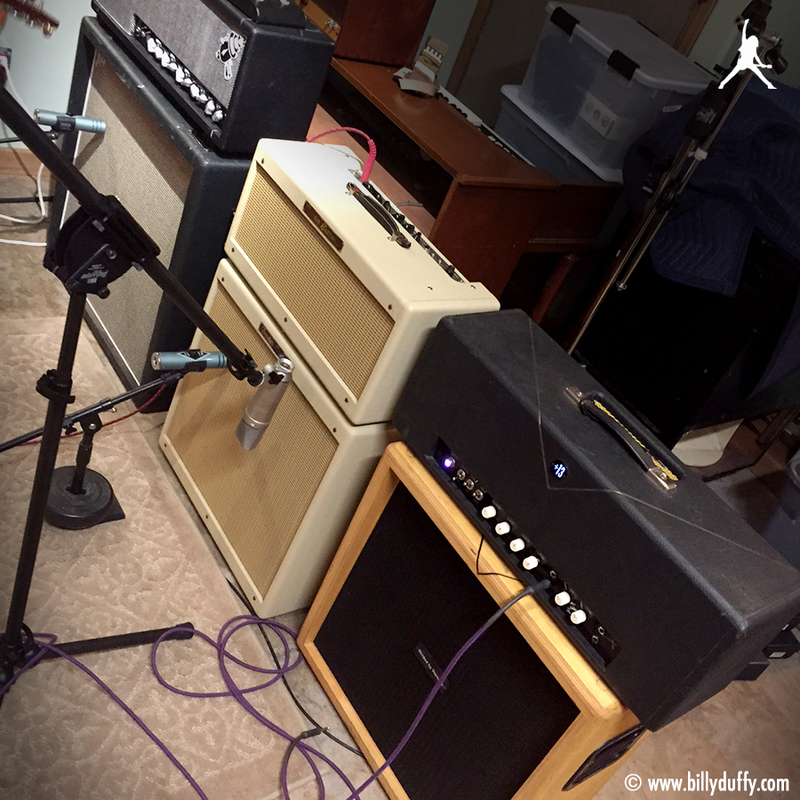 "Various amps and cabinets from Bob's personal collection including a "Dumble" Fender in the middle. It's estimated there were fewer than 300 Dumble amps ever built and used ones go for as much as $50,000!!! all top quality boutique gear....."